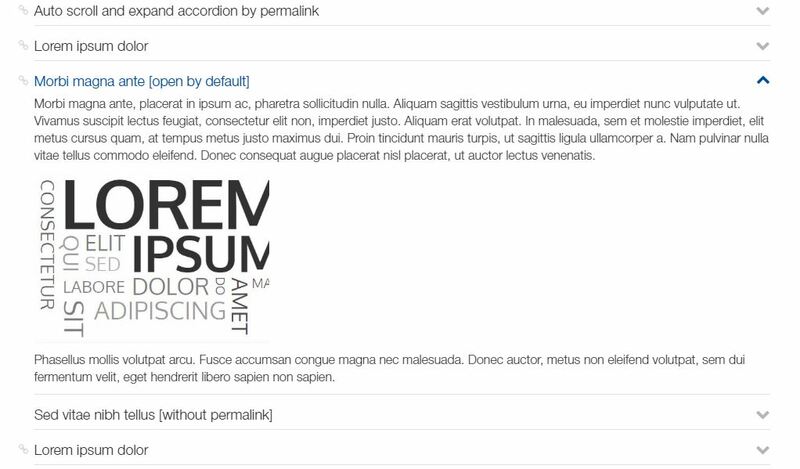 Simple accordion with the individual permalinks. When you move through permalink, the page scrolls to the accordion and it automatically expands. Each accordion is a individual, independent block. Accordion can be opened by default on page load.